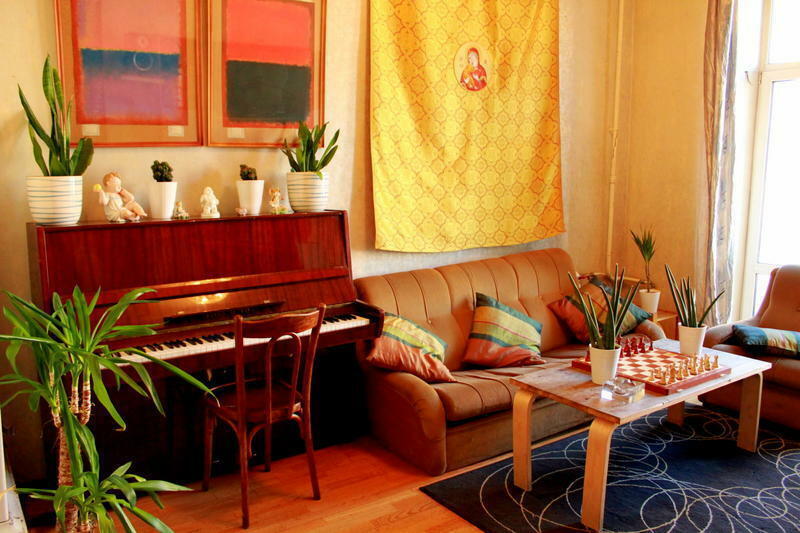 Right On Nevsky is the only hostel right on St. Petersburgs main street in the historical heart of this city with a huge and amazing balcony overlooking the incredible energetic street Nevsky prospect. Its perfectly central location makes it very easy to find and extremely convenient to walk to all the citys famous attractions. n addition, there is a bus stop literally at its front door and a metro station within one block. It is also in close walking proximity to all the favourite spots for eating, shopping and nightlife. If you need a cheap, clean room then this option is for you. In this section there is a dorm style room with bunk beds and 5 private rooms with double beds. 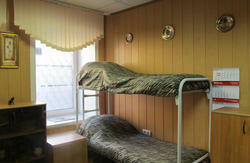 Some of the features that make our hostel unique from all the others in Saint-Petersburg. It has to be as already stated our amazing location, the balcony on the main street with a BBQ and table and chairs, while you sit and watch the energy of Saint- Petersburg pass you by day or night. A great place to take photos. The English speaking staff are friendly and helpful, always ready to make your holiday experience better. We offer free computers and wireless internet that works in all the rooms. Also we have a free washing machine, printer and scanner, free city maps, free towels available, as long as you keep returning them please))) free tea and coffee all day. We have installed a state of the art water filtration system and pump, this means that you can drink the water and have uninterrupted hot shower witch have just been re-renovated to european standards. The balcony room, our common area, has a great collection of the Russian and New Zealand art. 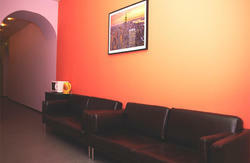 Our common area also has large screen TV, bar fridge, stereo system and a piano. The common area is available to you 24 hours a day, a great place to socialize with friends and fellow guests with access to the balcony. We have a large communal kitchen, where guests can make themselves a hearty meal or quick snack.Also there is an refrigerator for your use. - 'Right On Nevsky' is at 45 Nevsky Prospect which is between Vladimirsky Prospect and Rubinshteyna Ulitsa. The entry door is between McDonald's Restaurant and City Bank, so look for the 'McD' sign as your landmark. -Press 10 and the bell sign at the door. - Go up two floors to find 'Right On Nevsky' at Apartment 10 (lift available). *3-minute walk from Mayakovskaya (Green Line 3) / Ploshchad Vosstanya (Red Line 1) metros *8-minute walk from Gostiny Dvor (Green Line 3) / Nevsky Prospect (Blue Line 2) metros. - A transfer by taxi could cost USD20 or more. - From the airport arrival hall door take large bus #13 (18 roubles) or small buses K13, 3, 113, 213 (26 roubles) to Moscovskaya Metro station (12 minutes). 2. Gostiny Dvor station which is the 7th stop, stay in metro and change trains to Green Line 3, get off at Mayakovskaya Metro which is the 1st stop. Exit metro onto Nevsky Prospect and walk 3 minutes to 'Right On Nevsky'. 1. If you are coming by train from Moscow it is an 8 minute walk from the Moscow Railway Station which is also on Nevsky Prospect. 2. If you are arriving at any of the other four Railway Stations in St. Petersburg you will find that they all have an adjacent metro connection which will bring you in to Nevsky Prospect, follow instructions above for metro destination to reach 'Right On Nevsky'.